Victorian coal power stations are causing billions of dollars of health and environmental damage, research out of Harvard University has found. The new figures, released by Environment Victoria, are based on the externalised social costs for electricity generators in Victoria, and estimate that brown coal generators in the Latrobe Valley are each causing between $500 million and $1.2 billion dollars worth of damage a year. “It has been known for a long time that burning coal causes health and environmental damage, but this is the first time research has attempted to quantify that cost in Victoria,” Environment Victoria Safe Climate campaign manager Dr Nicholas Aberle said. Dr Aberle said many of Victoria’s power stations were operating past their use-by date. “They’ve got every incentive to hold on because they’re cheap to run, but they’re not paying for any of the pollution or damage they create,” he said. This was a market failure that was preventing a shift to cleaner generation, he said. The research was spurred by 2014’s Hazelwood mine fire disaster, which covered towns like Morwell in a thick blanket of smog. 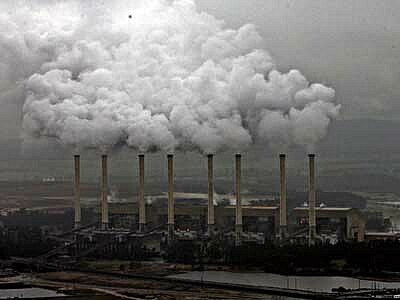 Dr Aberle said that generators like Hazelwood could be shut down, as Victoria had a surplus of generation capacity. “We now have more electricity generation capacity than we need in Victoria, which is stalling investment in new renewable energy projects. In the interests of reducing our carbon pollution and our air pollution, we need strong federal and state leadership on how to resolve the stagnation of our energy sector,” he said. “Generators are reluctant for their power stations to be the first to leave the energy market – it means their competitors benefit, and it will trigger significant rehabilitation costs to clean up the mines left behind. Government intervention and regulation is needed to overcome these barriers. Coal-dependent communities also needed help adjusting to the move towards a clean economy, he said.